Dual-eligible special needs plans, or D-SNPs, are for seniors who qualify for both Medicare and Medicaid. According to AHIP, there are approximately 12 million people who have both Medicare and Medicaid. As a market poised for continued growth, many insurers are making a strong D-SNP push. Based on our industry insights and with some help* from Mintel, we took a look at some of the direct marketing tactics used by insurers to promote their D-SNPs and found several common themes. According to Health.gov, uninsured adults and those enrolled in Medicare and Medicaid have the lowest levels of health literacy. Design materials with benefit education and health literacy in mind. Don’t just choose a reading grade level for print materials and assume that this will be effective. Testing materials with targeted consumers will help determine if your messaging is effective. Overall, keep messaging direct, informative and simple. Repeat important messages, use clear calls-to action and bullets to break apart text. 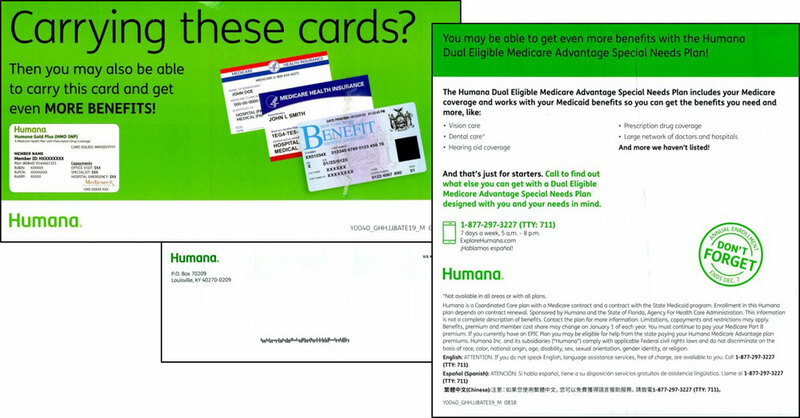 Humana, like most insurers, features Medicare and Medicaid card art prominently in their direct mail. It’s a simple, straightforward (and commonly used) approach, which allows recipients to self-qualify. Speaking directly to your audience is a great way to catch attention and build a relationship. WellCare is one insurer who is using this approach with a personalized mailer that includes a free kit offer. A recent report from the Kaiser Family Foundation found that almost two thirds of Medicare beneficiaries do not have dental coverage, and almost half of all Medicare beneficiaries did not have a dental visit within the last year. This is particularly true among the low income and live in rural areas. While plan benefits and offerings aren’t factors that marketing teams have control over, if you’ve got it, flaunt it! 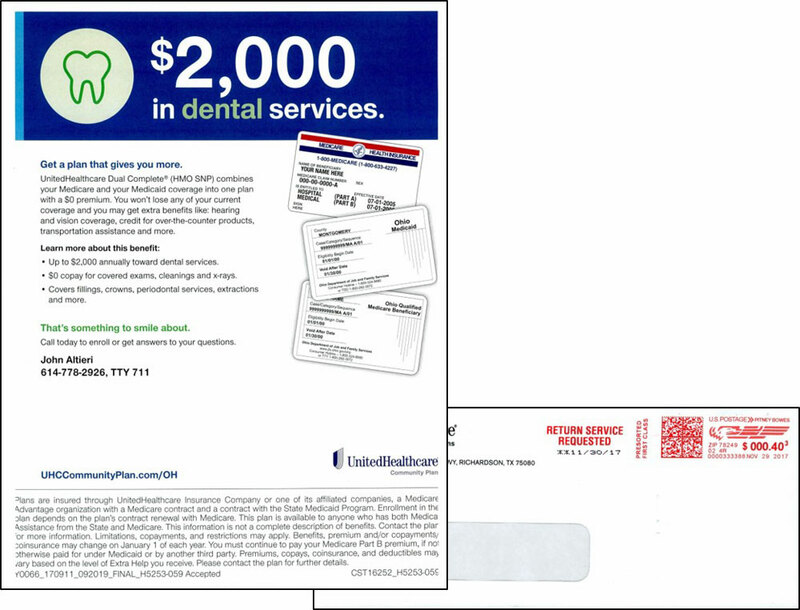 In the direct mail piece shown below, UnitedHealthcare focuses exclusively on a $2,000 dental service benefit in their HMO-SNP plan. Findings from Deft Research show that dual-eligible consumers tend to rely on human help from agents, brokers or sales reps more than non-duals when choosing and enrolling in health plans. In the examples below, health insurers use business reply cards (BRCs) and business response envelopes (BREs) to try and encourage human interaction. 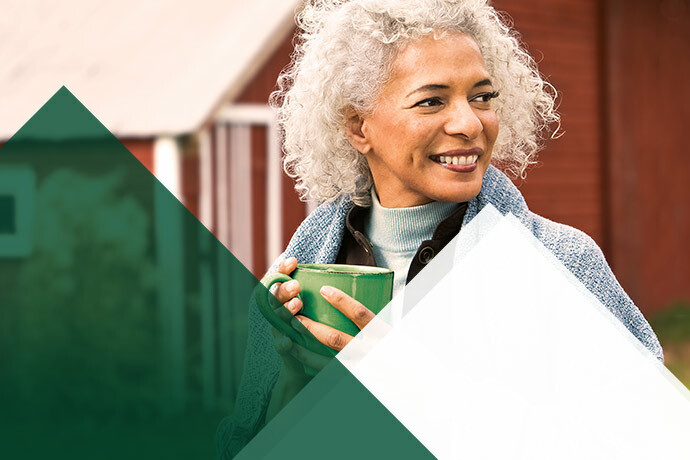 Anthem BCBS, Empire BCBS and Simply Healthcare all include BRCs or BREs with their direct mail packages that ask recipients if they’d like to have a representative schedule an in-home visit. 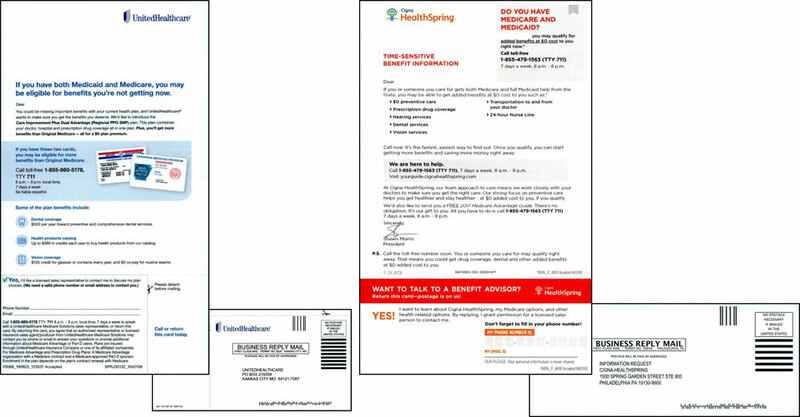 Other examples from UnitedHealthcare, Cigna and Molina Healthcare include BRCs and BREs with their direct mail packages that ask recipients if they’d like to have a representative call or email them. The growing dual eligible population presents a big opportunity for health insurers. As healthcare marketers, it’s important to develop creative that speaks directly to beneficiaries and shows why a D-SNP plan may be a better option for them. If you’re an insurer looking for help with your next D-SNP marketing campaign, we’d love to connect. Contact Jim McDonald, Director of Business Development at 518-456-3015. Health insurers are recognizing the growing demand for dual-eligible special needs plans, or D-SNPs, and the associated marketing opportunity. We took a look at a few D-SNP marketing campaigns from leading insurers. 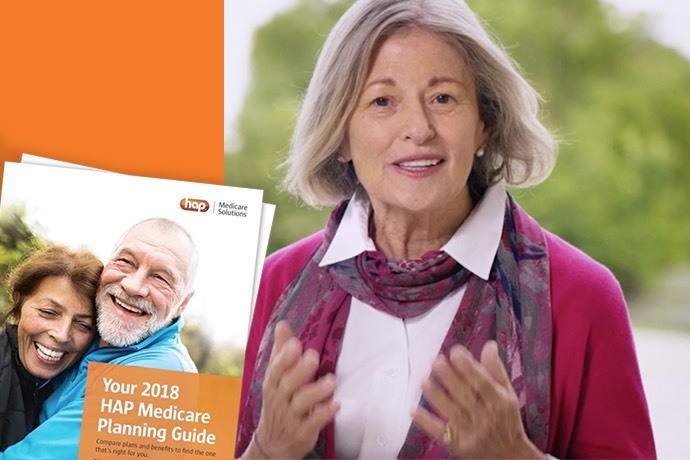 With the switch rate for the Medicare Annual Election Period (AEP) ticking up this year, it wasn't just the national plans who made big gains. We took some time to study some successful regional health plans.